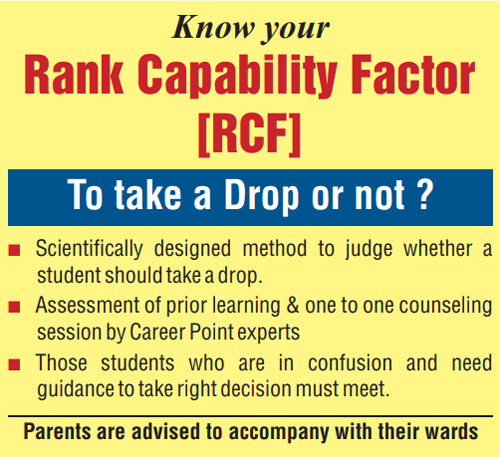 This batch is for extra-meritorious students who are aiming a Top Rank. 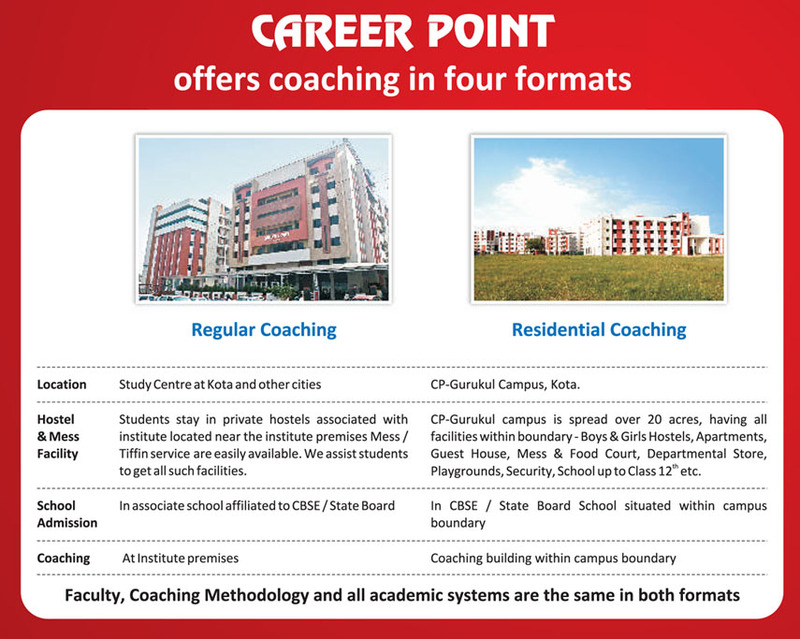 "Lakshya Batch" is aday boarding coaching program under supervision of expert faculty members. Under this program, students learn and do all assignment, practice at institute under supervision & guidance of expert faculty members. In Lakshya Batch, students solve questions in the class itself after the lecture is over. If they have any doubt in applying concept to solve questions they can immediately ask faculty member which ensures perfect understanding of concepts. Day boarding coaching form (7:00 am to 7:00 pm) planned in a scientific way to get the best output. Complete preparation including Teaching, Self-Study, Solving Practice Questions & Exercise Sheets, doubt removal etc.- everything is done under supervision of the faculty members leaving little requirement for self-study at home. Instant doubt removal hence perfect learning of concepts and their applications. Separate Lakshya Zone in institute with all facilities like AC Classroom, Rest & Recreation Room, Mess etc providing perfect learning environment for mastering subject concepts. Healthy & motivating competitive environment. Breakfast and Lunch s also served to students. Break of 10 min between the classes and 1 hour break for Lunch and rest. Breakfast, Lunch, High Tea & refreshment shall be served by the institute. Detailed day plan & time table will be shared on selection for the course. Direct Admission: NTSE | RMO | IJSO, Olympiad qualified students will get direct admission. Admission Test Dates On the basis of "Lakshya Entrance Test followed by Interview"
Those who qualify entrance test will be called for an Interview round. Test will be conducted at Kota | Jaipur | Alwar | Jodhpur | Mohali. CP-STAR : Career Point Scholastic Test for Analysis and Reward. CP STAR stands for Career Point's Scholastic Test for performance Analysis and Reward. The objective of this test is to analyse the aptitude of students who are aiming to prepare for competitive exams to shape their career. CP STAR identifies the talent of students, motivates & support them through cash prizes, gifts, scholarship & other benefits.